Officials say hunting is a necessary step to control the city's local goose population of an estimated 2,000 birds. 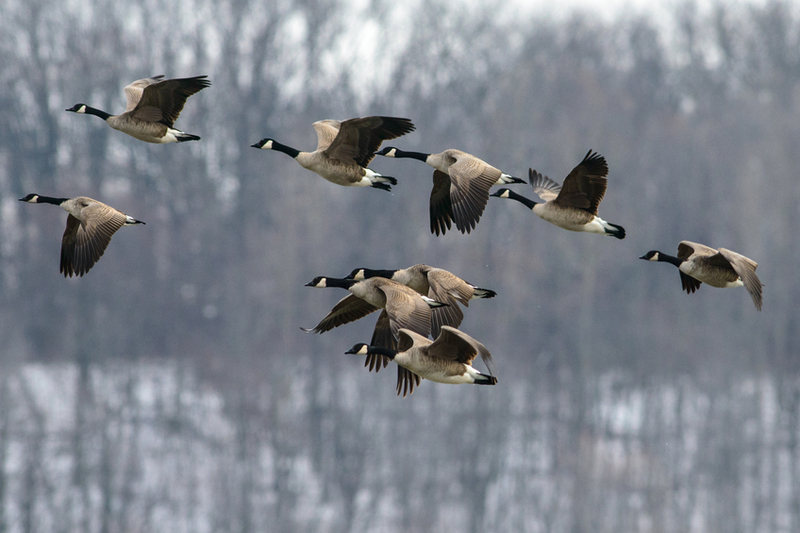 CEDAR RAPIDS, Iowa (AP) — The City Council here has approved an ordinance that will allow the hunting of Canada geese inside Cedar Rapids city limits. Television station KCRG reports that the council passed the measure Tuesday after the third and final reading. The new law allows hunting of the waterfowl hunting on certain private, undeveloped land in the southwest quadrant of Cedar Rapids. Officials say hunting is a necessary step to control the city's local goose population of an estimated 2,000 birds. Officials say the city spends $15,000 to $20,000 a year cleaning up after and controlling the geese. The city has used remote controlled devices that chase the birds and lasers that frighten them into flight.